A group for anyone in Year 6-12 (or equivalent) on Friday Nights. 7-9pm during school term. It's a great time for youth to get together for all sorts of different games, to enjoy some supper and to learn about Christianity in a relevant way. It's run by people from our church with a passion for sharing their faith and lives with the young people in an engaging, fun and safe environment. We'd love to see you! 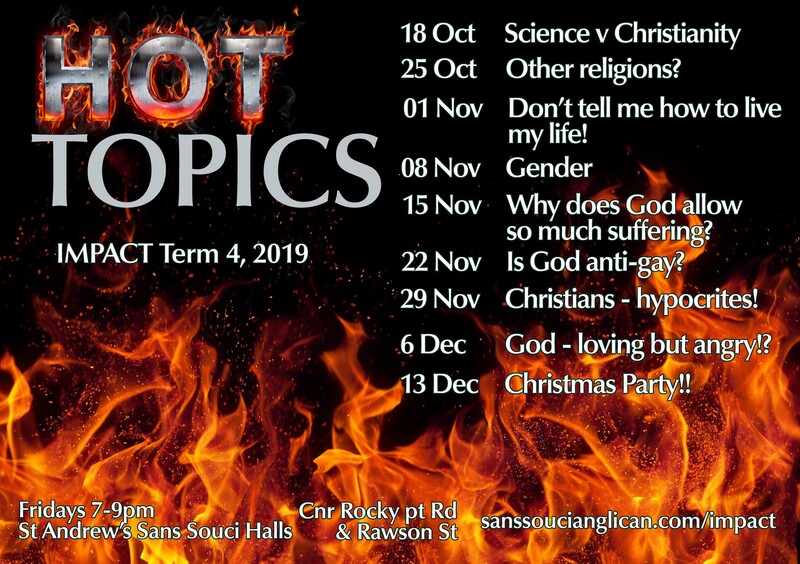 You can just turn up on Friday night at the church halls (come in through the carpark on Rawson St) or contact Andrew and we will make sure to look out for you.